Did you know that babies as young as 6 months can learn to feed themselves? They can work on steering a loaded spoon to the mouth, finger feeding and even drinking from an open cup or straw. Here are 6 big benefits to letting baby feed themselves from the start. Allowing your baby to feed themselves is great for healthy infant development and worth the mess. Mealtimes are one of babies’ most sensory-rich experiences - new tastes, smells, and textures. Touching and feeling food - especially sticky, messy, wet foods - is a great way to fully engage baby’s senses in the process of eating. These early sensory experiences help your little one learn that these new sensations are not threatening, instead they’re associated with yummy food. Babies and toddlers crave autonomy and independence and, not given enough, will do their best to claim it - often through tantrums, defiance and other challenges to our patience as parents. 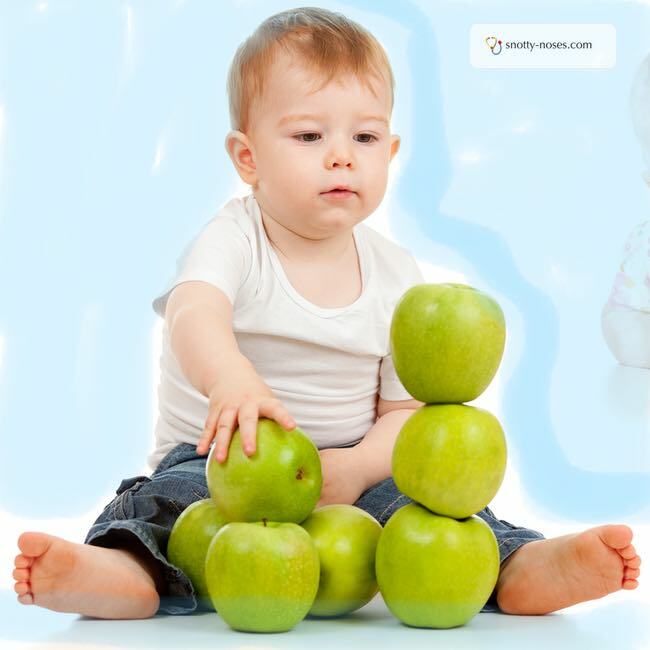 By giving your little one control over when he takes a bite, how much he puts in his mouth and when he’s done eating, you meet his innate “do it all by myself” desire. Ultimately, a parent’s “control” at mealtime is an illusion anyways. Even if you’re the one in control of the spoon, your baby or toddler is in control of what he allows in his mouth and swallows. Side-step mealtime battles by letting your baby lead the way. Chasing cereal around a high chair tray is a great opportunity for your baby to refine newly developing grasping skills. In fact, often food is the smallest manipulative safe for our babies to interact with, so mealtimes afford valuable practice coordinating those adorable chubby fingers. In the process of practicing feeding herself, your baby will be learning where her mouth is, how much force it takes to bend her arm to bring her hand or spoon to her mouth, how to get that applesauce off her upper lip and how to use two hands together to hold her cup. These skills require your little one to coordinate the motor systems and sensory processing systems of the brain. Mealtimes offer multiple practice times each day to help create a foundation of lifelong awareness and coordination of the body. If you’d like to know more about introducing your baby to solids, just sign up for this free guide. Simply enter your email address (which will sign you up to my newsletter). You’ll receive your guide plus you get weekly tips from me to help encourage you. If you ever want to unsubscribe, there is a link in every email. When parents deliver food to baby’s mouth, we have a tendency to deposit it right where it belongs, help baby take it from the spoon or our fingers and clean up after ourselves. But in feeding himself your little one learns through trial and error what it feels like to open his mouth wide enough for the spoon, how to close his lips to clean food off a spoon, how to get that bite of cereal from his lips to his gums for chewing, and how to lick his lips clean or wipe that drip that he feels on his chin. Letting your baby learn to feed herself will be messy. But the developmental rewards far outweigh the messes. With a little prep - smocks or bibs, a drop cloth on the floor or mop nearby - you can minimize the mess and allow your child to fully experience mealtimes. Rachel Coley, OTR/L is a pediatric Occupational Therapist, mommy and author of CanDoKiddo.com. She is a self-proclaimed child development nerd on a mission to help fellow parents playfully and confidently give their babies the healthiest start possible. She welcomes you to connect with her through her blog, Facebook, Pinterest and Instagram. Starting solid foods. 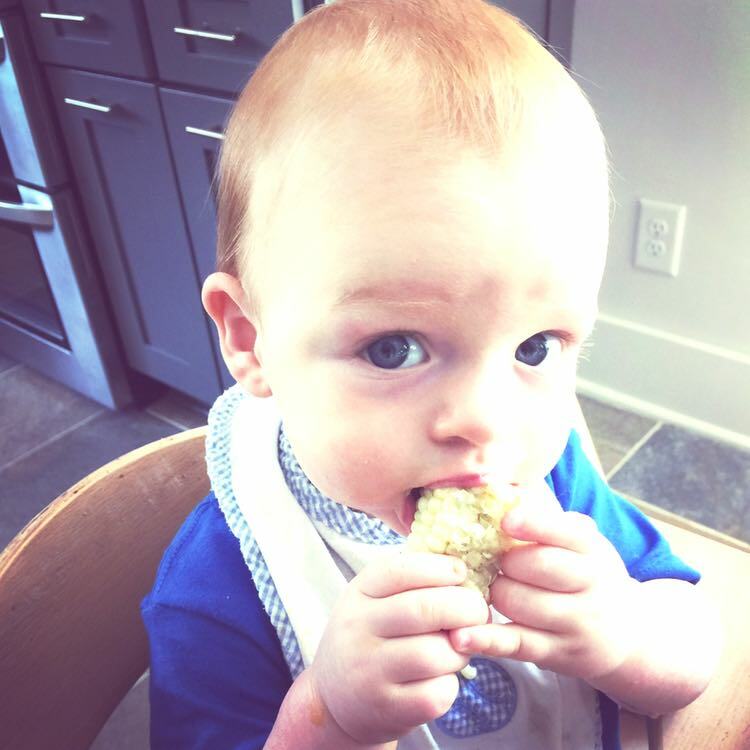 Is baby led weaning the best way? Take your baby from puree to solids in just a few weeks. Teaching baby to feed himself. Isn't it amazing that they can learn so many different skills just by letting your baby feed themselves? Give it a go and enjoy the mess!